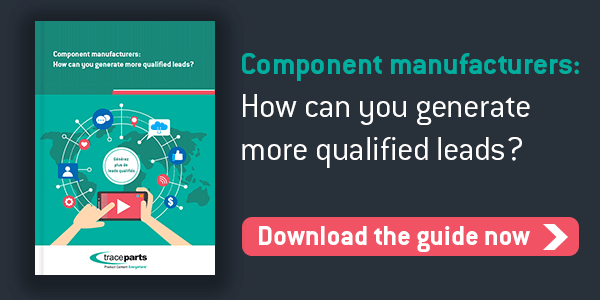 As a component manufacturer, how can you create an effective Landing Page? Home > Blog > As a component manufacturer, how can you create an effective Landing Page? As a component manufacturer, having lots of visits to your website is a good start, but it is not enough to generate revenues if your visitors just remain “visitors”. To transform your visitors into leads, you need to guide them to a landing page. The landing page is not just any page on your website. It is a strategic page to generate leads. Below are three best practices to follow to create an effective landing page in the industrial sector. This last point is essential. Industrial purchasers have no time to waste and must therefore quickly understand the added value of your offer in order to move into action mode. With this in mind, it is also important to limit any distractions on your landing pages. So consider removing your navigation menu or even your footer from your landing pages. The specific content of your landing page is crucial. The content that makes up this page must assure your visitors so that they decide to fill out your form and become potential leads. Since things rarely unfold according to a fixed script, it is highly likely that your visitors have several tasks in progress at the same time. In other words, they have many tabs open in their browser, and they may be distracted by their phone when looking at your landing page. The content on your landing page must therefore assure your visitors instantly. Do not hesitate to include customer testimonials or your main certifications and approvals in your landing pages. You have created the perfect landing page. You are sure the conversion rate of “Visitors to Leads” will be excellent. However, despite your enthusiasm, your “perfect” landing page does not really have the expected results. Did you test your landing page? Not just on your site, but in “reality”, with colleagues or friends? A simple test involves showing the page for 8 to 10 seconds to a person of your choice. The second step of the test is to ask the person to summarize its content. If all your strengths are noted, your landing page will convert your visitors into leads. On the contrary, if your guinea pig only has a vague recollection of the subject matter, then your landing page is not relevant. Repeat the test with an audience of a half dozen people to get an initial idea of the effectiveness of your landing page.